Christmas is on the way. Are you bothered for what gifts should you prepare for your sugar daddy? Or maybe you have just build relationship with your sugar daddy for several days. Should I prepare him a gift? It’s a truth that Christmas is a festival about receiving and giving. 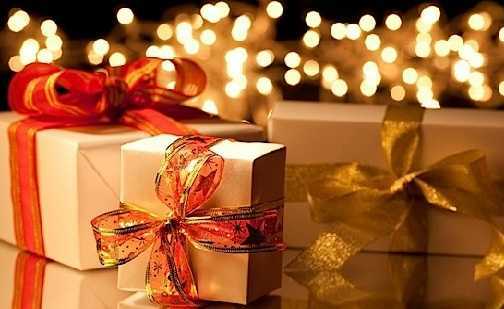 Everyone will be surprised while receiving a delicate and carefully-picked gift which will later convert into pleasure and gratitude. Even though you and your sugar daddy have an arrangement relationship, it’s still intimate. An appropriate gift will make him think you don’t treat him as a money-making machine. You care about him. He may reward you bigger and better surprise in future. Human beings are emotional animals. No one doesn’t like being cared. However, here comes another problem. Your sugar daddy usually can afford any thing he likes. Also, your allowance is limited. It’s really difficult for you to spend all the budget for a luxury one. So how to pick up an attractive gift for him? Actually, it’s not necessary to buy the luxury gift since your daddy may already have them. It would be smart to recall the time which you two get along with. The conversation between you two? What’s your daddy’s hobby? What’s your daddy’s occupation? You can finally find out some clues on how to care him during the daily life details. Below are some sentimental Christmas gift suggestions from sugar daddy sites to show your daddy how much you care about him. Every time he sees the gift, it will remind him how sweet you are. For different type of sugar daddy, here are different gift suggestions. 1. If your partner is a workaholic, think about what workaholic need most in their daily life? Of course, they drink a lot of coffee which will make them keep a clear mind during the whole process of work. So, pick some high-grade coffee beans or learn if a new coffee machine is needed? What do workaholic think most in their daily life? It’s the customers and their cellphone. However, can you imagine how much bacteria and dust there is on the cellphone? Why not sterilize it with a dedicated phone soap? It’s a UV sanitizer and charger in one. 2. Does your daddy care about health and fitness? He does lots of exercises but he doesn’t have a tracker yet? Great. You can send him an apple watch to let him track his activity, exercise, food, weight and sleep. 3. For the business trip sugar daddy. Does your daddy travel a lot? Get him a lovely charger which will make the cellphone always have the full charge. Or get him a cute trunk. It can also be played as a scooter. It’s funny. 4. For the photographer sugar daddy Is there anything better than taking pictures for your daddy? Just send him a camera as the gift. Then he can hook up everything he wants to memory. More ideas. Please play your imagination or learn from his profile. These are small gifts, but they will let your sugar daddy know that you know him a little better than an acquaintance or a neighbor would. It also shows you remember what he said and you are interested in your relationship.